Whether you have bad credit or no credit history at all, we can help get you approved for the funds you need! Most payday loan funds are available the next business day. The money is deposited directly into your bank account so you can handle any financial crisis quickly and easily. Your loan details are completely confidential and secure. 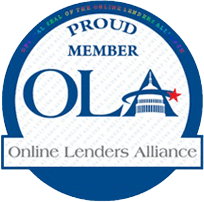 Your information is only used to help you qualify for the loan you request! At Snappy Payday Loans we have more ways than ever to help you get the money you need fast. Depending on your state, you may be able to receive a traditional payday loan to give you the cash to hold you over to your next paycheck or an installment loan and revolving line of credit to offer you more flexibility and the opportunity to borrow additional money when you need it most!